I just bought my first Warmachine models some weeks ago. I decided to paint my Cryx jacks with an alternative theme, because I don't like the 'offical' theme very much. I chose bone as my main colour and some corroded bronze and rusted metal to other parts. I painted first one deathripper, and I was pretty pleased on the result. When I was starting to paint the second one, my brother asked me to make a step by step on it. I took many photos to make the tutorial easy to follow. Result can be seen here. I assume you can do blending. If you don't, look at the CMoN articles page, there's lot of blending tutorials. I also assume you have basic knowledge about NMM(non-metallic metals). I suppose you to use wet pallette, because you have to mix paints much. This tutorial will explain the steps to create a lava gaming board. These same steps can be used to create many other types of terrain too. Sorry if it is a little long. I figured more detail was better then less. Edit: added estimated costs of materials and board "standardizing". This is a tutorial on how to make your own storage trays for army transport storage cases. Depending on the thickness you can make a tray for $3-$5 and you will be able to fit more miniatures in them because you can jigsaw the miniatures in to the most efficient usage of space, instead of staying in the predefined square grid that the army transport trays have. I figured that rather than just show you how I painted the bases in our product image it would be best to cover a couple of extra alternative ways to paint your Rocky bases. 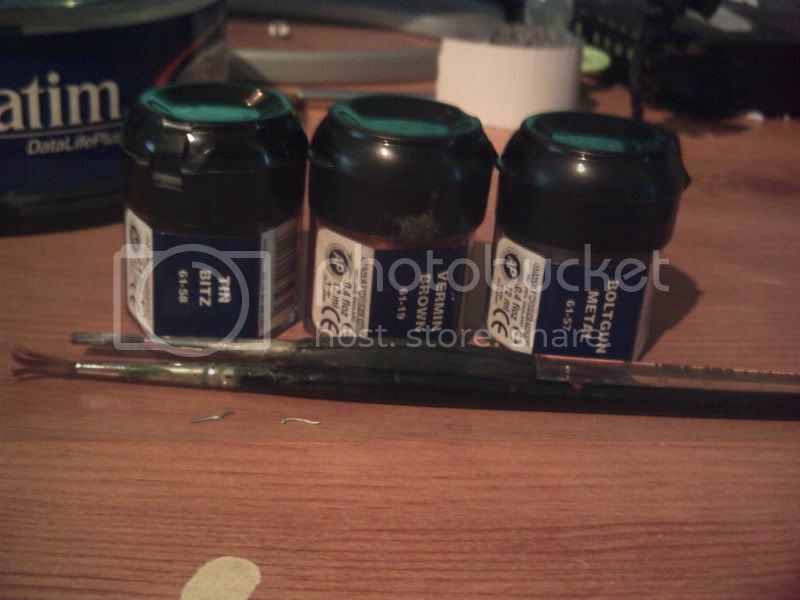 In this article I shall cover how to paint according to the climate you wish to portray. I must state that this article is for beginners. For this article, I decided not to go into too much detail about the specific colours used and technical aspects of the paintwork, but more just document the basic process, and try to give some more broad insights into the general painting method. I have been asked a few times recently about making bases, so I thought I would document the general process this time. It is a fairly simple base – I mean, it is nothing too inventive or original, nothing ground-breaking – but perhaps the basic process I went through might interest some of you! I didn’t quite know where to start as I have acquired quite a few models in a very short space of time. 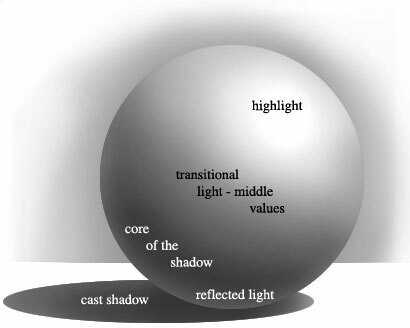 I decided to start with my favourite Circle model and coincidently the leader. 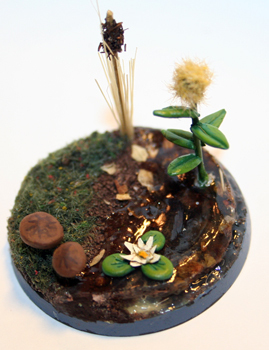 I wanted my circle force to based in a swampy forest, so with this in mind I set about making the base. For this I used a tree stump from Antenociti's Workshop. Added a little greenstuff, and its done. I then cut part of the base away, and stuck a bit of the blister pack on the bottom. This will later hold the water in place. I then cut up come pins to make mushrooms with and added a little greenstuff. Finally I added some fungus to the edge of the tree. I wanted to do some more WIP shots, showing different stages of painting, but my cameras’ batteries died. 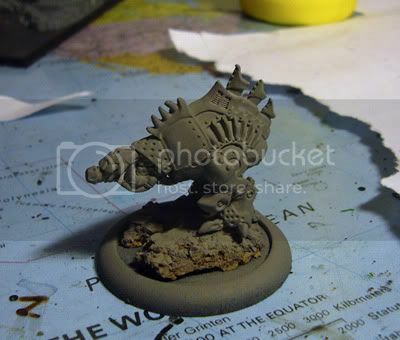 First off, the miniature has been cleaned up and primed with black. I’m used to paint orcs starting from their skin, this model is no exception. Catachan Green and Scorched Brown mix in 2:1 ratio has been used as a base layer. To highlight the details I have added some Chaos Black to this mix and washed the mini several times, while generally you could omit this step. 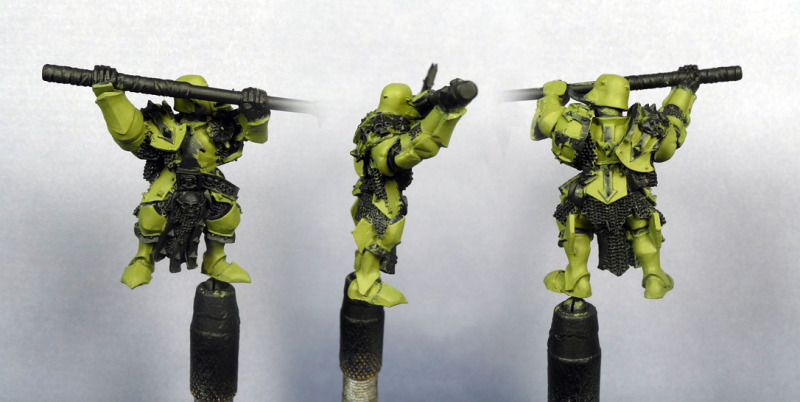 I have used Catachan Green color for the first highlight and Catachan Green and Goblin Green mix in 2:1 ratio for the following highlight. I will limit myself to one picture here as both pictures do not differ much.